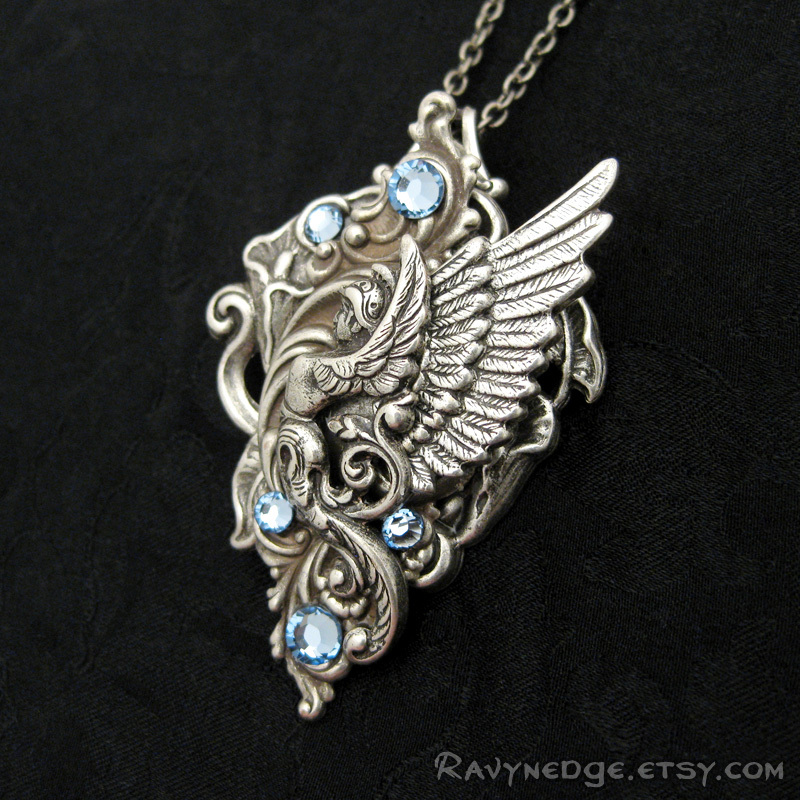 Valkyrie's Pride Necklace - Lt Sapphire Swarovski and Silver Winged Warrior Pendant by RavynEdge. 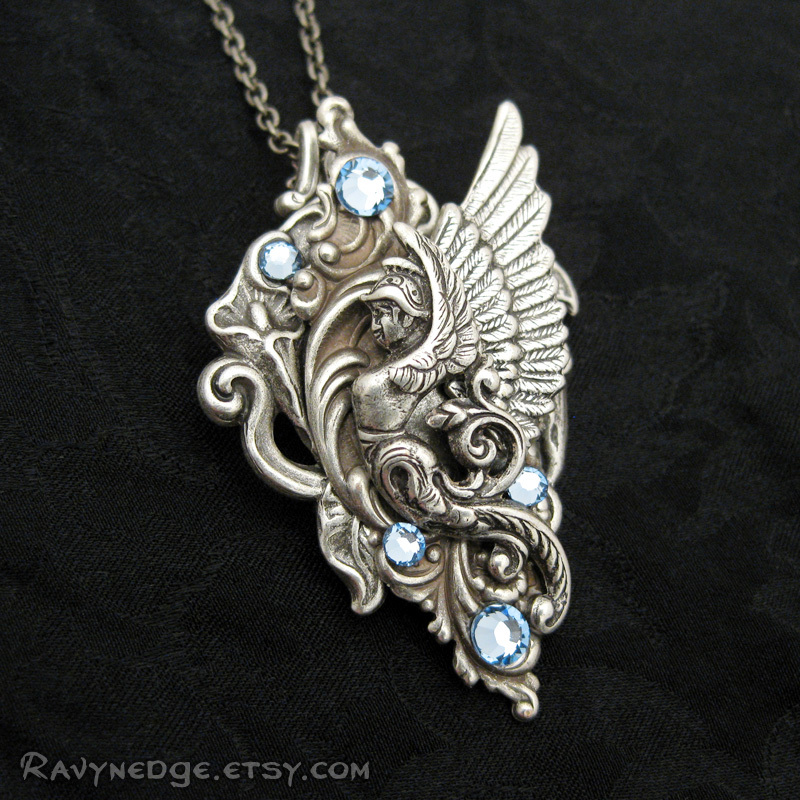 This stunning necklace features a noble valkyrie guiding the spirits of her chosen dead warriors toward Valhalla. 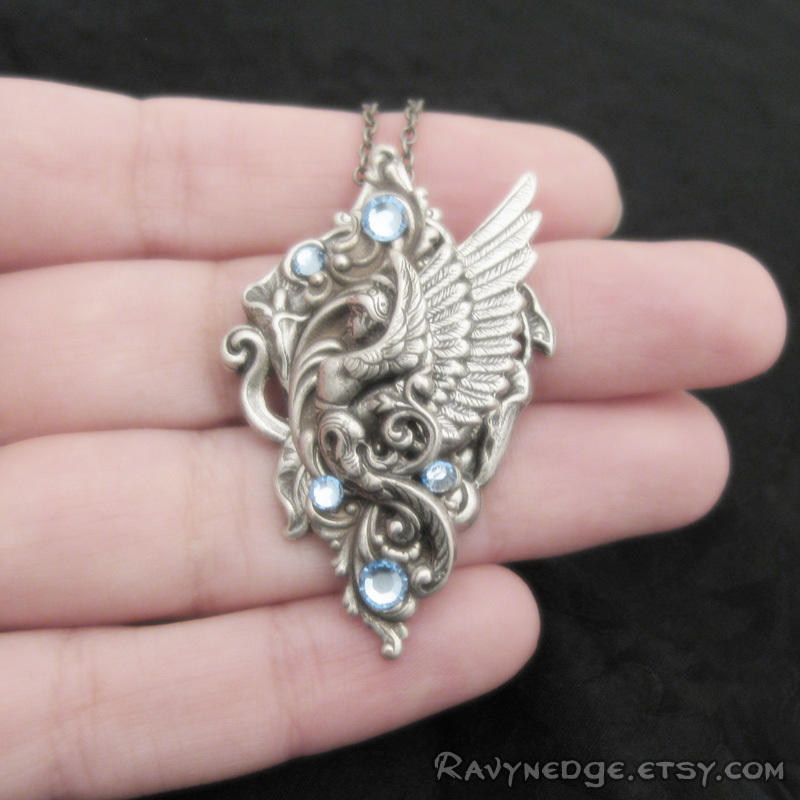 Made of sterling silver plated brass filigree and light sapphire Swarovski crystal flat backs. 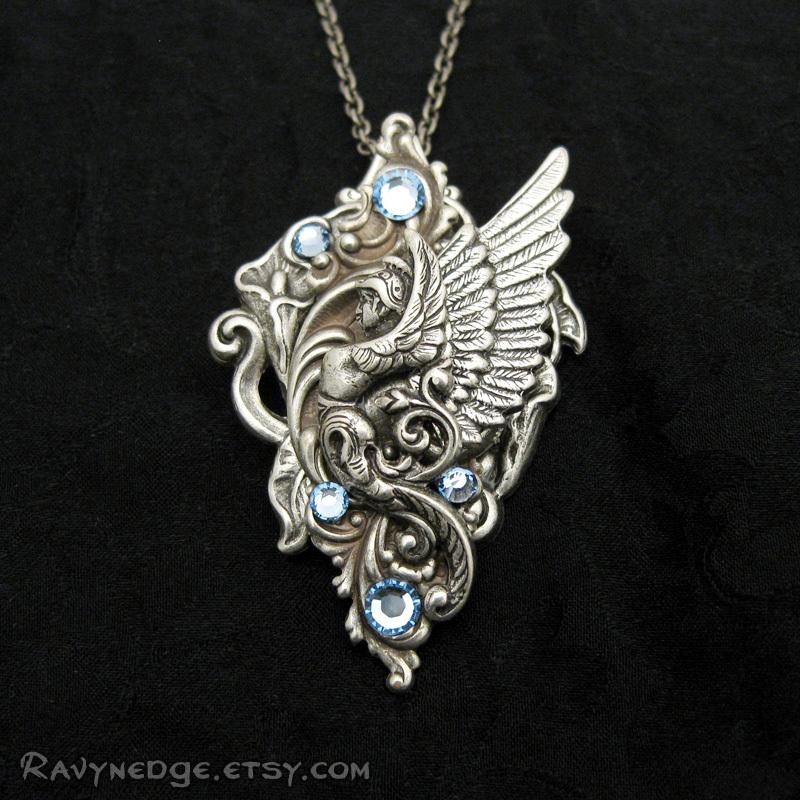 The pendant measures approximately 1.7in (44mm) in height and 1.4in (29mm) in width. 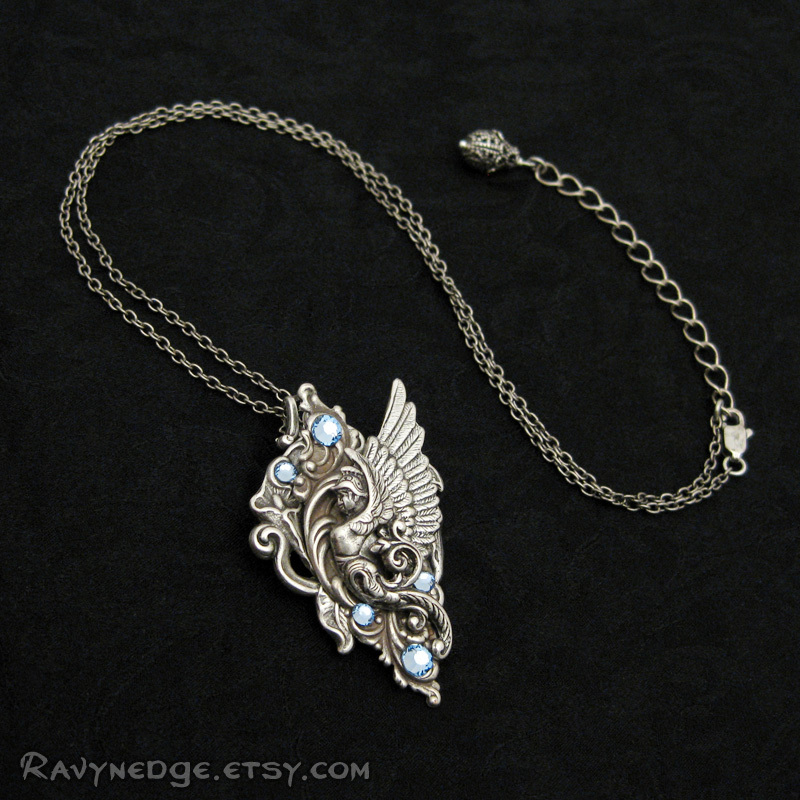 The chain is sterling silver plated steel and the length is adjustable from 16 to 18 inches (40.6 to 45.7cm). It closes with a lobster clasp.